EAST MONTPELIER, Vt. (AP) — Producers of pure maple syrup and honey aren’t sweet on a plan to label their pure natural products as containing added sugars. They say the U.S. Food and Drug Administration’s upcoming requirement to update nutrition labels to tell consumers that pure maple syrup and honey contain added sugars is misleading, illogical and confusing and could hurt their industries. “There are no added sugars. Maple is a pure product,” said U.S. Rep. Peter Welch of Vermont, the country’s leading maple producing state. Others from Vermont’s congressional delegation joined Welch at a press conference Tuesday. 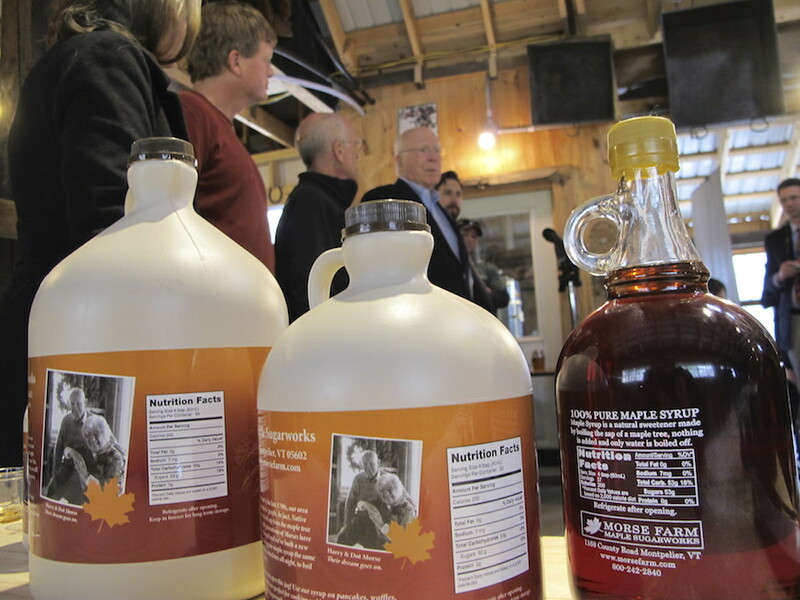 Democratic Sen. Patrick Leahy and a representative from Independent Sen. Bernie Sanders’ office were also there with some maple producers to discuss their plan to fight the FDA requirement. Welch said that many consumers don’t want added sugars, which makes them think of corn syrup or other un-natural elements. Tom Morse, of Morse Farm Maple Sugarworks in Montpelier, notes that maple syrup comes right from trees and producers refine it to keep the quality high. “It’s 67 percent maple sugar and that’s what it is, nothing more, nothing less,” he said. To address industry concerns, the FDA has suggested that producers could use a symbol after the added sugars daily value directing consumers to elsewhere on the label where they could say these sugars occur naturally. The American Honey Producers Association says it could lead to consumers wondering what’s being added to pure honey, when nothing is. Both industries say they work hard to protect their pure products from adulteration.